Obesity In Golden Retriever Dogs is a common health problem today. Owing to their cuteness and affection, golden retrievers often end up making their owners feed them with little snacks every now and then. Unknowingly, these extra snacks often end up causing Obesity Disease In Golden Retriever Dogs. This leads to dogs getting overweight, causing serious health problems and often their lives are cut short. Understanding Dog’s Psychology and behaviors along with little planning in diet and exercise can do wonders for your pooches. Bad eating habits and wrong physical movements of your dog are not his faults but yours. It is the slight negligence on the owners’ part. However, owners can always fix this by taking care while the dog is just a puppy and still in his early months. 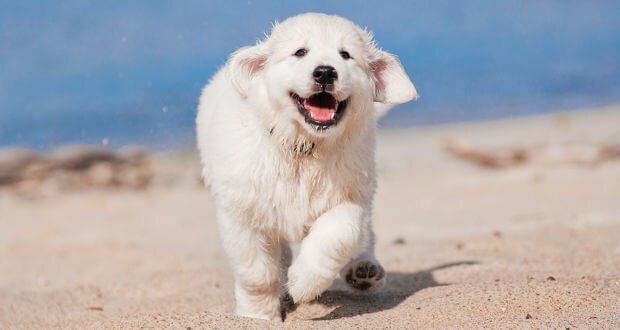 Golden retrievers like outdoor activities and are champion swimmers, however, all this can cause injuries if the dog is overweight. Joint damage, high blood pressure, injury to tissues, heart and respiratory problems, arthritis, bad digestion, diabetes, kidney ailment, liver dysfunction and mood swings are the problem associated with Obesity Disease In Golden Retriever Dogs. The first diagnosis of treating Obesity In your Golden Retriever starts even before the Dog shows any symptoms. In other words, prevention is better than cure. It is advised that owners should check the weight of their dogs regularly. The ideal weight for a male golden retriever should be between 65 to 75 pounds while for a female it should be 55 t0 65 pounds. If you see any unusual weight changes in your dog, take him directly to the local vet. After taking the right advice from your local vet, the second comes diet and exercise of your dog. Apart from medication, best food for your golden retriever and in-house dog training play an important role in your pet’s well being. Avoid your dog from feasting on any leftover or table scrap. This is a common cause of obesity in dogs. Dogs often end up munching on the table leftovers especially if there are children in the house. Children have the habit of feeding dogs with cookies, candies and other food items at irregular times. Food recommended for humans may not be fit for dogs, remember, digestive systems of dogs is different from ours. Keeping a check on the diet of your golden retriever doesn’t mean you starve him. The best time to feed your dog is twice to thrice in a day. This avoids the dog from feeling empty stomach and craving calories. The average caloric intake for golden retriever dogs varies between 1000 to 1900 calories depending on the age and weight of the dog. It is important to ensure that you have the Best Food For a Golden Retriever. Your dog’s diet should be prepared in such a way that at least a quarter of its total calories come from protein. If you are given packaged food, then makes sure to check the label for details. If you are going for Raw Meat For Your Golden Retriever then it should have the balance of all the macro nutrients, proteins, fats and carbohydrates. Feeding raw meat in the appropriate amount is also a key. Since golden retrievers have longand luxurious coats it is important to have just the right the amount of good omega fatty acids in his diet. Keep your golden retriever dog away from sugar and stuff like corn, soy, and foods that contain excess fat or cheap fillers. Coming to the exercise and calories, there is a simple calculation to this. If your dog is taking more calories than the calories used, it will gain weight. The same could be said if it is taking fewer calories. The aim should be to have light exercises that improve the overall activity levels of your golden retriever dog. Start by simple and subtle activities like walking in the park. This can be followed by introducing some slopes and stairs in its course. Once you notice that your dog is showing signs of improvement, you can take him a level up. Start morning and even jogs with him or ask him to fetch a ball for you. Swimming is something that golden retrievers love doing and born champions in this. Jumping and chasing should come last as these activities cause a lot of pressure on joints and even respiratory system. Obesity Disease In Golden Retriever Dog is an unfortunate medical condition. Carrying excess weight makes a dog dull and prone to major diseases. Monitoring weight and shedding extra pounds improves your dog’s mobility, leading to an improved quality of life.It is the responsibility of owners to make sure that their dog is healthy by giving them the right amount of care. Which Foods Can Your Dog Eat ?